[IMG][/IMG] It seems there is a whole new level to look into the Zodiac communications. The picture has the bottom of the Exorcist Letter "Me-37 SFPD-0" without the familiar symbol and the bottom of the LA Times letter w/symbol (Prime Meridian & Zero?) and -17+. San Francisco is -37 Degrees Latitude N and so is parts of East Bay Area which includes MT. DIABLO MERIDIAN & BASELINE. Many of the Zodiac communications were mailed out of San Francisco, mailed to San Francisco and Stine was a victim. 17 Latitude N is the 17th Parallel and it runs through Vietnam. -17+ is the bearings around that Latitude. Denny was in Vietnam. And we thought that these were just victim numbers.....hmmmm? [IMG][/IMG] From Dennis' main page: "Donna Lass disappeared on on September 6, 1970, in South Lake Tahoe. She was living at 3893 #6 Pioneer Trail, South Lake Tahoe, in the Monti Verdi Apartments. 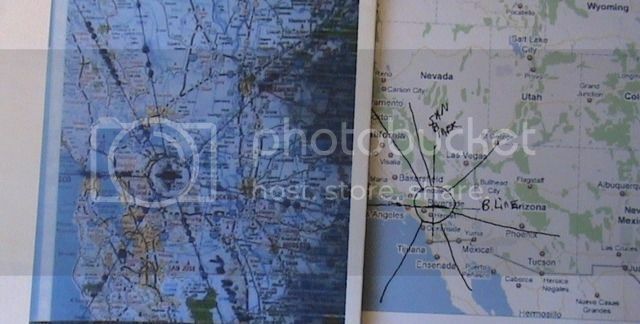 Jack was living with us during the time" Dennis has said on this site, that Jack met his mother 1970 and Dennis main page map w/radians has that Jack was living in Sunnyvale 1969. I understand that it's apparently about this time that Jack and Dolores Reynolds were divorcing and it was final 1970. The June 26, 1970 letter says that "shot a man while parked in a car with a .38" Maybe the .38 was just a number clue? The Phillips 66 map has Mt. Diablo Meridian/Baseline marked and Mt. Diablo is 37 Degrees latitude. 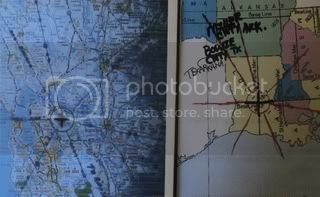 It appears that Jack may have put his coordinates in that particular June 26, 1970 letter & map as Sunnyvale is 37.38 Latitude. I am loving this! I will be checking for more coordinates! Wow! [IMG][/IMG] This is a longshot theory but in looking at these ciphers all over again and searching for any clues of latitude placed in them, I think I have found it. After coming to understand about the Greek/Roman letters, then numbers, and also symbols for Latitude & Longitude, there appears to be the following: Baseline/Meridian symbols (squared off in green) Phi for Latitude (circled in Black & Red); 3 dot accented Greek Deka Numeral 10s & 6 forward slanting Greek Numeral 1's (circled in Green & Red). So, Latitude 36 Degrees? Monterey or Santa Clara county areas? Anyway, I understand Jack was in the vicinity at this time period these first known ciphers were sent. I chuckle now, when I see that the Hardens decoded these 3 ciphers.....yeah, right? 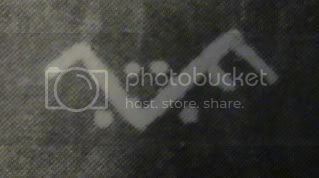 Edited 11/2/09 I was checking on ancient numbers as I am working on the 340 cipher and see that Deka with an accent dot (for highlighting) looks more like the number for 10. Sorry, my apologies, I think I mixed up ancient numbers with the Greek Deka. So I edited it from Roman to Greek numbers. The outcome is still the same: 36! NanetteB, as per your advice, Cheese Letter deleted! I think you are onto something there. A locationing system if you will? What type of system uses a 4 point reference or the use of those Zodiac signs, anyone, anyone??? "When we normally talk of the 4 points of the compass, we think of them as North, South, East and West. This desciption is known as the "Cross of Matter", and is particularly associated with our existance in earthly conditions. However, if we are to follow the natural path of the Sun during one day, it rises at Dawn in the East; travels South, and sets in the West. At night it passes the Northern point, and rises again in the East the following day (see diagram above). Dawn, Midday, Dusk and Midnight. And these same 4 points - when related to the horoscope - represent 4 important aspects of the personality. The Ascendant = The "first impression" we give to others. The M/C = Our Ego or "self image"
The I/C = The most vulnerable part of ourselves. Click here for more detailed descriptions of these 4 points as they relate to the horoscope. Zodiac Ascending Sign Asc.Mask Nature Planets Zodiac Signs MC Mask "
Amazing! So, his kill time was just before and after midnight! More pinpointing going on here, besides the radians/crime markers and latitude/longitude? It looks like we are zeroing in on more details that makes it clearer! Using the Mt. San Bernardino Meridian & Baseline: As for Black Dahlia, the radian line to LA appears to go right through where Elizabeth Short was found which is the area of South Norton and 39th. The Mt. San Bernardino Meridian goes right through San Diego County where Elizabeth Short had just traveled from prior to her demise. 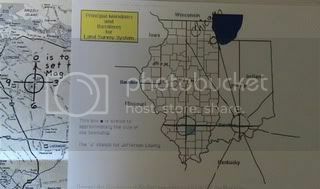 Using the Meridian & Baseline in Indiana: The Chicago Lipstick Killer, the radian line goes right up to Chicago. Please see posts #55 & 56 and the Zodiac Compass! Crimes taking place "Before and after Midnight"! [IMG][/IMG] These are the photobucket stats reflecting what is going on at this MB and my posts. Since Dennis's domain name: therealzodiackiller.com has expired, I believe that his stats on that page haven't budged for several weeks as they say only over 1000 since 10/10. This site is probably more busier than ever but people aren't really posting alot of comments. It seems quiet but it's not. These stats of over 7000 are just from what I've posted and what is viewed. Imagine what else might be going on, as far as stats for Dennis and the whole site all together. It's the best Zodiac Killer site in the world because it is the right suspect and it's really getting solved, as Jack Tarrance IS Zodiac! I was working on the 340 Cipher today and kept on coming up with 39 Degrees Latitude: 3 Greek Dekas for 10 (dot accented), 9 Greek 1s along with a couple of Phi's for Latitude. Then I recalled Graysmiths partial decoding of this 340 Cipher to contain a message about Clearlake, California. I GIVE THEM HELL TOO. PLANT MR. A.H. PHONE LAKE B.
SHALL I HELL SLASH TOSCHI? EIGHTH SOEL [SOUL] SLAIN. " Clearlake is at 39 Degrees Latitude! The whole lake, itself is in the 39 Degrees range! IT appears that there is one more communication with LATITUDE! 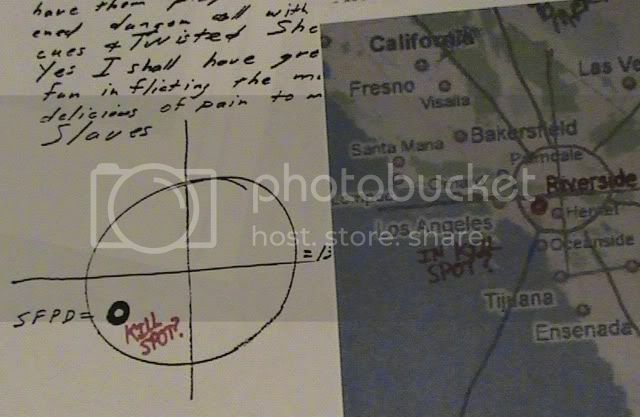 Attached Images: (contains pic of cross/circle SFPD=0)"
"The circle or 0 is the kill spot." I think that since San Francisco doesn't fall into the immediate vicinity of the Mt. Diablo Meridian & Baseline that this is not the kill spot for that city. I think it's Riverside, CA as that city falls right into the immediate vicinity of the San Bernardino Meridian & Baseline at that same spot! Using that San Bernardino Meridian/Baseline, the =13, well, if you draw a line off of that placement in the circle, it goes to Mojave Desert and old Gold Mining ghosttowns. Dennis has said that Jack & Denny were into Gold prospecting which may be a reason for the Dragon Card that has prospectors as the image. One is on a JACKass. Dennis, did Jack and Denny go prospecting in the Desert? One would use a Jackass in the Desert to carry tools, etc. For those interested: Why am I up so early doing this? Well, this is fall and the last several weeks, been waking up extra early- - - apx 3 to 4 a.m. and it's probably because this years Acorns are the size of rocks and they hit the roof with a thud! Wakes me up! I got tired of not getting things done with this extra time opportunity, so, I am online in the wee hours of the morning today. 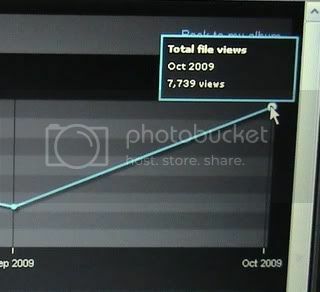 Since people are reading/lurking and I know you are as Photobucket stats are high (apx 400 yesterday! ), I just was going over the Latitudes, Baseline/Meridians, in the communications that appear to be found, so far. The first 3 ciphers of 1969 say 36 Degrees Latitude, the June 26, 1970 letter may say 37.38 which is Sunnyvale, then the 340 Cipher appears to be 39 Degrees and probably Clearlake BUT Jacks Campground in Nyack is also 39 Degrees Latitude and 37 Degrees even though San Fran is 37 Degrees Lat, it can also be much of the Motherlode or Gold Country and I understand that Jack like to go prospecting with Denny. I just find it so fascinating that it's now very possible to follow Jack's trail using the Latitudes. So, theoretically speaking, while Jack was divorcing Doris Reynolds, 1969 Jack was spent some time in Santa Clara County (Monterey? 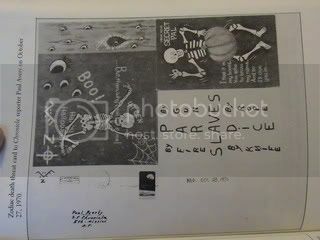 ), then in Clearlake and Nyack in 1969, then in Sunnyvale 1969/mid 1970, then in Southern Califonia 1970, AND with the Halloween Card he's in Paradice, CA (lots of Tarrance details in that card). Maybe in 1974 possibly in the Motherlode or Gold Mining areas of the Eastern Sierra as that's 37 Degrees Latitude ('74 Exorcist Letter -37). Wasn't there a Zodiac letter that said "no address"? When he was divorcing Doris Reynolds, he probably didn't have any real address and floated all over the place between South Bay Area to North Bay Area and his Campground 1969-1970. <<<Dennis PLEASE chime-in on this at any time with what you know about Jack!>>> Well it's simply amazing! And they say he didn't leave any real clues? 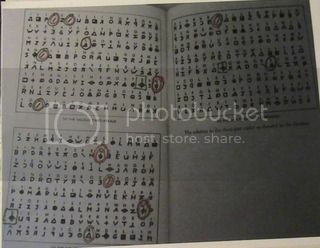 It's the Handwriting and what's in the Handwriting, the decoded ciphers w/initials and names and LATITUDES, the JACK images, the Meridian & Baselines w/ the radians, wake up and smell the coffee people! 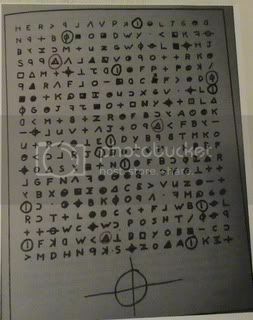 Geessee, stop selling your books/movies/dvds/radio&TV spots, and your websites that say these silly things like Jack and Zodiac didn't leave any real clues! It IS Jack Tarrance! The FL looking symbol on the card has been the center of alot of debate over the years. NanetteB and I, have had some conversations recently about this card, namely, YODH and this symbol that it along with the 4 points (Zodiac Compass) meant something like a location. OK, in our conversations, I had told her that I didn't think there was anything that would correlate to something like Latitude in this card, that Jack was just, in his own way, practically shouting at the world: Jack Tarranc, Paradice Motel in S. Lake Tahoe, FLOVa, reverse N's and to look in the mirror to see the correct N, Skeleton posed as Reverse J and look in the mirror to see the J, etc, in the Halloween Card. 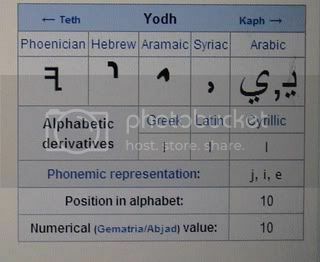 Well, I am up again in the wee hours of the morning and I checked on YODH, found that it's Semetic language and as YODH, it has a numerical Value 10 as Alphabet placement 10. As Phoenician it looks similiar to our F. As YUD, it's similiar to our L but YODH is in reverse (look in the mirror to see it). ALL THIS SAID, YODH/YUD NUMERICAL VALUE 10, SO ADD THE 2 10s TO THE 14=34. 34 LATITUDE IS RIVERSIDE AREA. Jack's lil brother Don, lived in Riverside, CA and according to "winnie", Jack stayed in Riverside after a Texas hospital stay and was trying to hunt Doris down. They were splitting and divorcing circa 1970 about the time of the Halloween Card. SO! Jack did, IMO, IMVHO, place Latitude in the Halloween Card, just as Nanette thought, by using the YODH/Yud but also adding the number 14. 34 Degrees Latitude/Riverside, California. HEY ALL: Jack was telling us to do the math in Phoenician, Hebrew, Greek, Roman numerals, yeah, he was a complicated guy but I think we are to soon figure him out! I think Jack spent his lifetime trying to understand himself and what made him tick, why he did the crimes, too. NANETTE you are right the Return ADDRESS with the YODH/Yud is a location. RIVERSIDE! 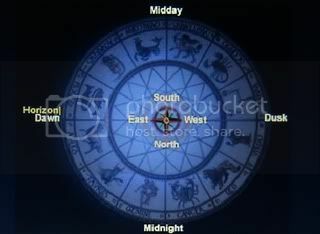 edited 7:42 GMT The 4 points with the YODH and Yud are supposed to be the 4 constellations Taurus, Gemini, Cancer and Leo. These Constellations are seen better at certain times of the year and latitudes make a difference in seeing them, too. 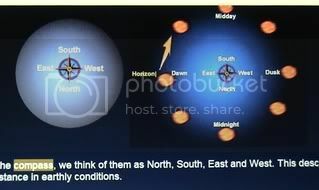 If I understand correctly, by October, they are seen before midnight and in various NSEW positions especially in latitudes like 34 Degrees N. If I am wrong in any way, I hope some star gazer and night time sky charters can set me right. I have been reading on charting the skies to tell what season it is and time, locationing, so, I am a newbee at this. AN ABSOLUTELY HUGE THANK YOU TO "alphie" AND NanettB FOR THIS POST! WITH THEIR HELP, ALL THESE YEARS LATER, WE CAN NOW KNOW WHAT THE SYMBOL MEANT! IT PAYS TO HAVE MORE THAN ONE MIND WORKING ON THIS! DENNIS I HOPE THIS HELPS YOUR CASES! [IMG][/IMG] [IMG][/IMG] [IMG][/IMG] The Ancient to Modern way of travel by night has to do with Leo/for Westerly travel, Cancer & Gemini North, and Taurus to help go Easterly above the Horizon. To Go West in Northern Hemisphere, probably starting late fall and at lower Latitudes, find Leo and follow it westerly above the Horizon as the earth spins towards the east, the Constellation goes towards the west. What I thought was 4 points and I like so many are learning as we go along, is actually the constellations of Leo, Cancer, Gemini and Taurus above the Horizon. The Modern Zodiac Nautical Compass has this, the Ancient way has this and IMO, Jack used the Ancient way mixed with some ancient number clues but still the same outcome of travel by night that's been going on for a few millennia. Jack I think I got you figured out! 34 DegreesN Riverside Ca, and the 4 Constellations LEO, CANCER, GEMINI and TAURUS above the Horizon amongst the YUD & YODH for 10s add to the 14 EQUALS 34 and Riverside, CA is 34 Degrees Latitude. AGAIN, the RETURN ADDRESS ON THE HALLOWEEN CARD ENVELOPE with the 4 Constellations, amongst the YUD/YODH is Riverside, California. NanetteB, with all that we have, it's hard to imagine how they did things in Ancient to recent modern times! Symbols/letters as numbers, well, I gather this was to make it easy for the educated and the illiterate to understand things. Well, all that said, when I am through with this Zodiac (and BD, LK, Phantom), thanks to Jack, I'll know what time it is and where the f-&k I am at 11 pm, what season it is, without GPS or a even a watch! It sure might come in handy when I am lost at sea, someday! ROTFLM!